Just because the official Falls Church Fall Festival is over doesn’t mean you can’t celebrate the season! There are plenty of things to do during the autumn months in the city of Falls Church, and it feels great to get out and enjoy the (unofficial) favorite season of the entire East Coast before winter hits. If it’s even possible–Falls Church is even more charming in the fall. Read on for ways you can take advantage of the season of pumpkins, leaves, and apple pie with these 6 ways to celebrate autumn around Falls Church, VA. This is #1 for a reason. Seriously. Can you think of a better way to enjoy the season of sweaters and scarves than by savoring apple pastries, pumpkin pie, and other fall comfort foods? Head downstairs to Starbucks (344 W Broad St.), and grab one of their fall specialty pastries and a coffee. For a more local spot, you can’t beat Cafe Kindred (450 N Washington St.)–their fresh made pastries and breads really hit the spot while you sip a creamy latte or cappuccino. The season of indulgence has begun. 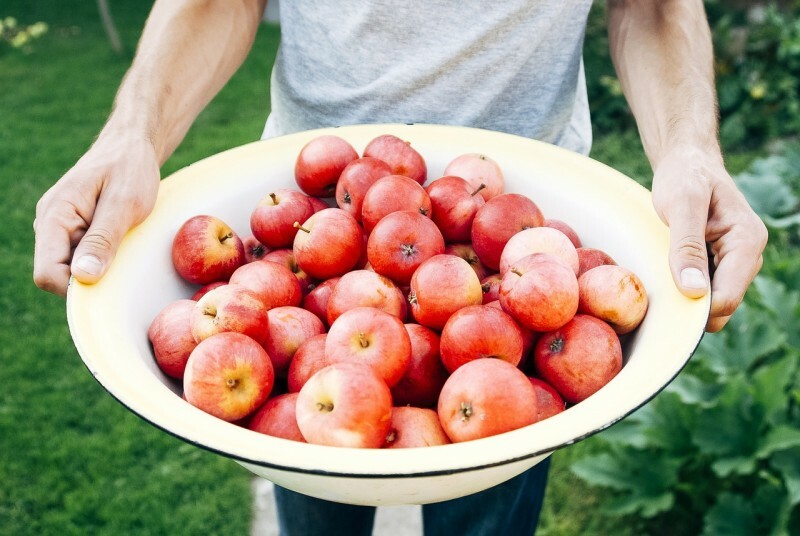 Apple picking is one of the most refreshing ways to spend your weekend. When you enjoy crisp, sweet apples and wander through the orchard, you’ll forget all about work. Head to one apple picking spot close to falls church, and don’t’ forget to check the hours before you leave, as orchards often have sporadic hours. When you live at West Broad, you’ll have easy access to the Washington and Old Dominion Trail, where the leaves should just about be changing into gorgeous fall colors. If you’d rather sit and read in the park, that’s perfectly acceptable. Pick up a gripping novel, and set out for some of the best parks in Falls Church (and don’t forget to bring a canteen of hot apple cider). God knows you won’t be sitting on a park bench when it’s snowing out! It’s one of the biggest annual events we host here in Falls Church. The Farm Day is one of our favorite days of the year, and it makes autumn official here. Where else are you going to get to experience life in 19th century rural Virginia? Watch blacksmithing and beekeeping demos, take a ride on a horse drawn cart, and check out the fuzzy animals at the petting farm. It’s all happening on October 10, from 10 am to 3 pm at the Cherry Hill Farmhouse and Park (213 Park Ave.). Some of us have the willpower to accomplish this task. For those of us who do, head to My Local HomeBrew Shop (6201 Leesburg Pike) to pick up the right hops, bottles, fillers, and even custom tags for your homemade brew. At the very least, you’ll fully appreciate the next beer you have at Mad Fox, because you’ll know the work that goes into it! Speaking of Mad Fox Brewing Co, check their site for details on an upcoming Cask Ale Festival! Some farmers markets out there close when it starts to get cold. But that’s not the Falls Church Farmers Market, which goes on year round (every Saturday). Not only will you be able to pick up fresh, local, and seasonal goods for your pantry this fall, you can attend some of the Chef Series events, where you’ll learn the best recipes and techniques by local Falls Church chefs. Perhaps they’ll give you the secret to a perfect roast turkey this fall! That’s only six ways to celebrate fall in Falls Church–but there are plenty more for you to discover when you move here. Interested? Get in touch with us today to discover your perfect new luxury apartment in Virginia.